It’s Imperial Rome. Nero has just gotten pissed at Seneca, but instead of killing him, he orders him into exile. The other Stoics are getting kind of wary at this whole “insane dictator ruling a decadent and corrupt empire” thing, so they all agree to head off with him and start a colony dedicated to virtue and righteousness, far away in the new continent that has recently been discovered across the sea. They are somewhat better philosophers than they are navigators, and crash into Greenland – where they are, in accordance with the tradition, Mistaken For Gods By The Native Populace. Seneca starts arranging the local paleo-Eskimos into his conception of the Ideal State, but gets distracted by his discovery of Eskimo shamanism, which is ten million times more fascinating than any philosophy the Romans had to offer. He wanders off into the tundra to go on a spirit quest, and his new Greenlandic society collapses into civil war. This is ended only by the fortuitous return of Seneca, who has ascended a holy volcano, talked to God, and become a prophet. 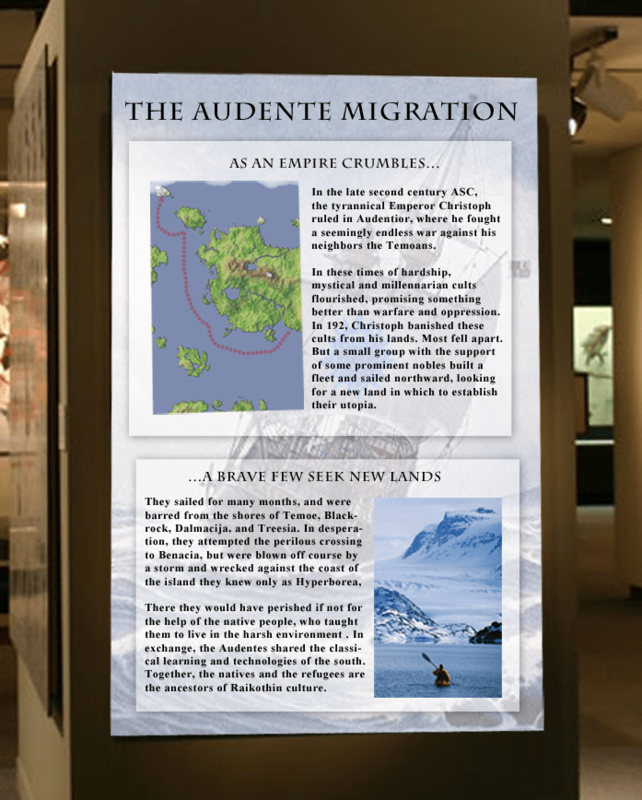 Several thousand years later, Greenland hosts an thriving society of high-tech Latin-speaking Eskimos following a religion descended in equal parts from Greco-Roman philosophy, shamanism, and vision quest volcano prophecies. This is about the quickest way to explain the history of Raikoth without going through a lot of boring pre-history and geography and hard-to-pronounce names. So what, exactly, is this religion? Raikothin religion, sumurhe in its own language, recognizes two aspects of God, called Truth and Beauty. The existing world is a poorly ordered mishmash of these two aspects, whereas God is the two aspects artfully and perfectly combined. Truth includes everything that actually objectively exists, in the exact way that it actually exists. This aspect is mathematical, precise, and completely devoid of subjectivity. 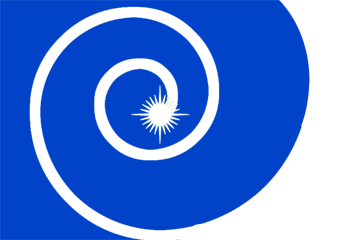 It is symbolically associated with winter, stars, the colors blue and silver, and all the hard sciences as well as math. Beauty includes feelings, dreams, hopes, personality, meaning. This aspect is numinous, charged with emotion, and fantastic. It is symbolically associated with summer, roses, the colors green and gold, and all the arts, especially poetry and especially especially music. The world is a gradual and halting attempt to integrate Truth and Beauty, and humans are the interface points at which the integration takes place. Humans join Truth to Beauty by bringing beautiful things into existence or interpreting existing things in such a way as to make them beautiful. The pattern of integration of Truth and Beauty is self-similar at every level. That is, each individual object is its own attempt to integrate the two aspects; completion of this task perfects the objects (it’s maybe a little teleological). Completion of the integration at the highest level perfects the world, causing it to become a manifestation of God. This philosophy cashes out into a formalization of two different ways of looking at things, the Elith-mirta and Ainai-mirta (Perspective of Truth and Perspective of Beauty). The sumurhe religion itself is a perfect example. In the Elith-mirta, it is a useful metaphor for the fact that some things are easier to understand using mathematics and other things are easy to understand using native anthropomorphic intuitions, as well as a recognition that religion promotes psychic health and strengthens community ties. In the Ainai-mirta, Truth and Beauty are literal anthropomorphic deities (the god Elith and the goddess Ainai) who are worshiped through prayer and sacrifice and invoked for strength in times of need. It is considered somewhere between bad form and heresy to mix up these perspectives or try to apply one to the other. To claim that what one wishes were true actually is true is a heresy, an attempt to subordinate the god Elith to the goddess Ainai. But to claim that what is true is beautiful or acceptable or just when it isn’t is equally heretical and also an insult to a goddess. Relativism, the idea that there is no Truth and everything should be viewed through Ainai-mirta, is an especially despicable heresy. The level at which Beauty and Truth join together isn’t some superficial philosophical muddle, it’s the entire human project of art and science and trying to be happy and virtuous. Sumurhe is an attempt to give people a religious and mythological structure within which to view and appreciate that project. It’s also an attempt to justify the institutions of the Raikothin state. The Angel of Evidence is an attempt to gain a direct connection to Truth, the Angel of Preference is an attempt to gain a direct connection to Beauty, and the Angel of Salience and the Archangel are attempts to integrate the information gained by both into a teleological improvement of the world. Thus also the three great religious institutions of Raikoth: the Priests of Truth, experts at understanding the external world; the Priests of Beauty, experts at understanding the human psyche; and the Priests of Joy, experts at figuring out how to make the two correspond. Below this rarefied philosophical level sits a rich mythology, some of which dates back all the way to the Paleo-Eskimo substrate of the Raikothin population. This includes a Creation story, various archetypal characters and legendary heroes, and morality tales about the great leaders of the past. Believing any of these to be “true” in the sense of Elith-mirta would be a heresy, but they are believed to be Ainai-mirta, true-with-respect-to-Beauty, and repeated and taught in that sense. Even superstitions are tolerated and encouraged in this sense in order to make life more interesting: various standing stones that supposedly bring good luck, stories of places you can go to dream of those you have lost, stories about how when someone dies their good deeds incubate in the ground before flying out as butterflies to alight on those they loved during life, and the continued belief in the holy volcano as protector of the state (which it fulfills Elith-mirta as the source of cheap geothermal power). I wish I could live in Raikoth. I would too if it was warmer. Mmmm – so god can be true and beautiful but need not be good? I’m curious as to why the “Good” part of the usual trinity of “the True, the Good and the Beautiful” is missing – an acknowledgement that some things are not good, or that goodness is an attribute/element of the conjoined true and beautiful but not a principle on its own? I’d imagine that utilitarian ethics are the property of Truth and that the question of what our values should be is part of Beauty. I’m somewhat concerned that this adds up to institutionalized doublethink. It’s convenient, of course, that the holy volcano can act as a source of inexpensive geothermal power, and hence Elith-mirta protect the state. But that’s not an inevitable fact. Suppose volcano geothermal is no longer a source of cheap energy; tectonic shifts cause it to become extinct, someone invents fusion power that’s even cheaper, etc. What happens to its status as protector of the state? Back in the 80s, there was a proposal to mine for gold there but it was not popular at all locally (and indeed nationally, even though the government of the time was enthusiastic enough for it). I’m… not sure. It seems much better than what late religious, scientific cultures have currently. It actually seems very reconstructionist, and like it could be useful for handling the transition between ancient glories and modern morality that cultures struggle with today. It seems more like an anti-doublethink mechanism. For the real-life Raikoth that we’re all obviously dreaming about setting up now, we could pick Iceland instead of Greenland. More volcanoes and the associated geothermal power there, and better high-tech infrastructure already in place. Plus, of course, ponies!